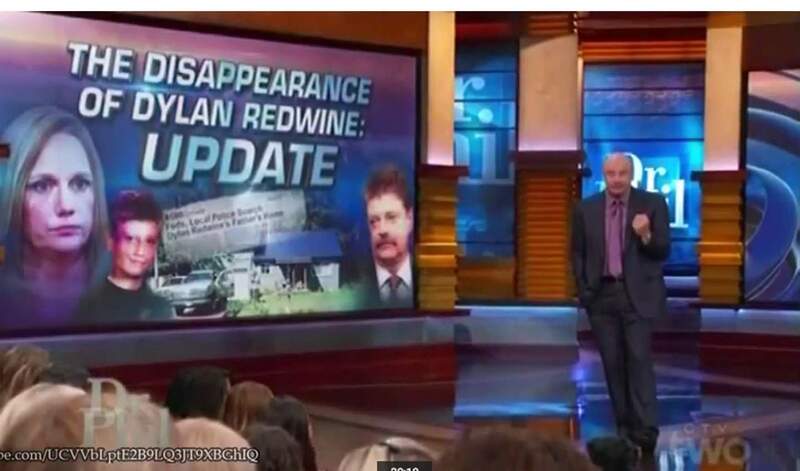 Dylan Redwine’s mother and brother told talk show host Dr. Phil during their second appearance on his show that they suspect Mark Redwine moved the teenager’s remains after he killed him. Elaine Hatfield, formerly Redwine, and her son, Cory Redwine, taped the show with Dr. Phil in mid-April, and the show aired Wednesday. During the show they maintained that they believe Mark Redwine killed his 13-year-old son when he was on a court-ordered visit with him in late 2012. “He murdered his son,” Hatfield told Dr. Phil. 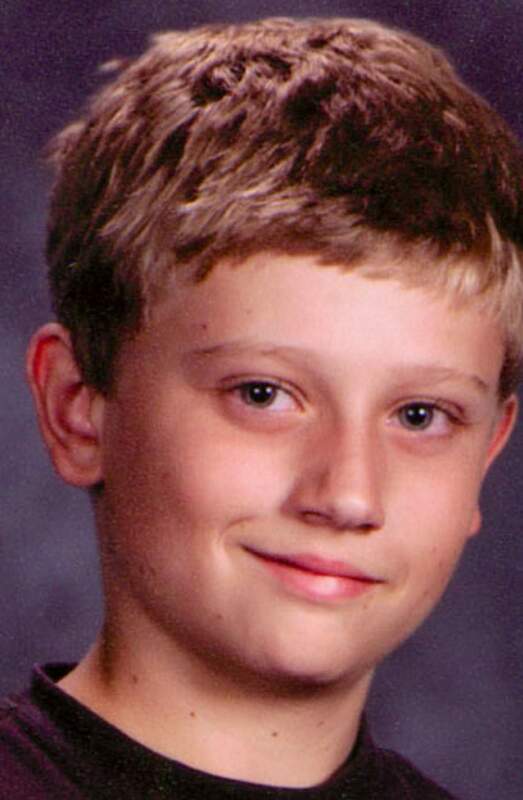 Dylan was reported missing Nov. 12, 2012. Part of his remains were found June 26, 2013, on Middle Mountain Road near Vallecito Reservoir. Dr. Phil asked Hatfield during the 16-minute segment why only some of her son’s remains were found. “I believe his body was moved,” she said. Mark Redwine joined the show by telephone. Wednesday’s show was a follow-up, because the first times Hatfield and Cory Redwine appeared with Dr. Phil were on Feb. 26-27, 2013 – four months before Dylan’s remains were discovered during a search conducted the by La Plata County Sheriff’s Office. In introducing the segment, Dr. Phil expressed sympathy from his wife and him. As he has in the past, Mark Redwine denied that he had anything to do with his son’s death. He also refused Dr. Phil’s repeated offers to conduct an independent polygraph test. “Well, Dr. Phil, I don’t think that’s going to be necessary,” Mark Redwine said. Local law enforcement administered polygraph tests to Mark Redwine, Hatfield and Cory Redwine in 2013. Because the investigation is ongoing, investigators will not release the results. During the last two years, Hatfield and her family have vocalized their frustration about Mark Redwine’s lack of cooperation in the investigation. “We’ve had every opportunity to get those things done before now, and at this point I just don’t see the value in doing it. To be honest with you, no,” he said. “So again, Mark, what are you willing to do?” Hatfield asked. The couple’s oldest son interjected. “No, you owe Dylan an explanation!” Cory Redwine said. Hatfield told The Durango Herald on Wednesday afternoon that her former husband has not changed his mind on either taking a polygraph or helping with the investigation since the show was taped nearly a month ago. She said the investigation continues. “As we move along, we start realizing more things,” she said, declining to provide details. Dr. Phil read a statement that the Sheriff’s Office gave to him April 11. “This is an active investigation, and we will not make any further comments, except that we will continue our investigative efforts until there is a resolution for Dylan,” the statement read. This screen capture from a “Dr. Phil” episode shows Elaine Hatfield and her son, Cory Redwine, being interviewed about the disappearance of their son and brother, Dylan Redwine. Mark Redwine, Hatfield’s former husband, participated in the show by telephone.